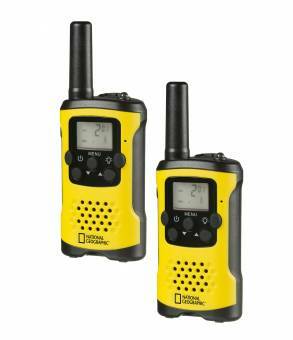 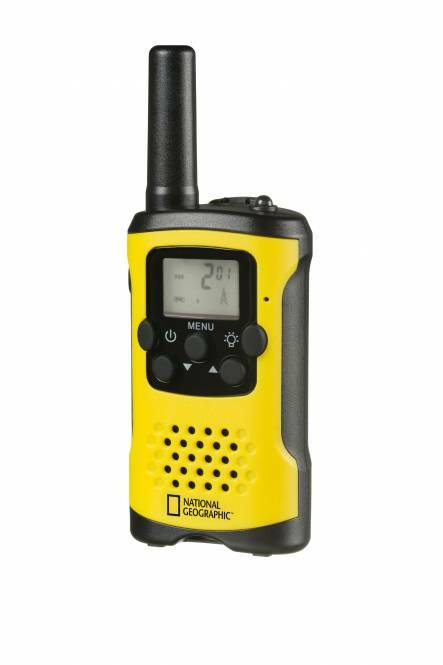 The Walkie-Talkie Set of National Geographic is the perfect companion for any of your adventures. With a range of up to 6 km in open terrain, you can even bridge long distances and have an uninterrupted reception! 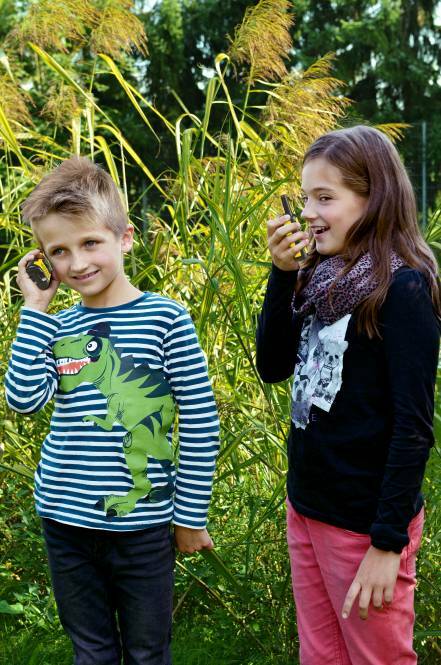 The Walkie Talkies are small enough for children's hands. 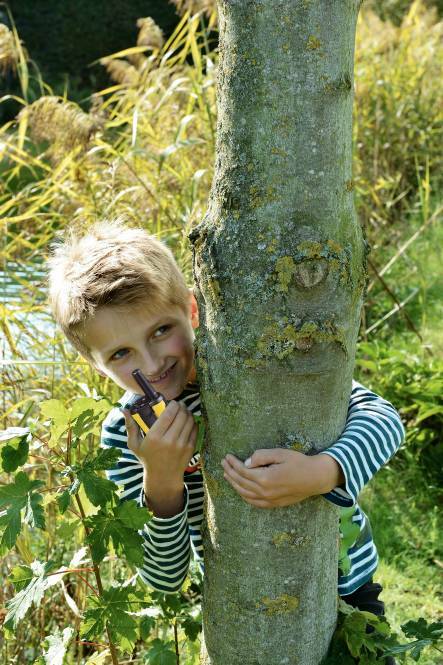 But if you need your hands free when romping and exploring in nature, no problem - the practical belt clip and the free hand mode make it possible! The menu function can be easily and conveniently controlled using the 5 function buttons.